These babies by Randi Mates came in a close second for apricot-dress-accessorizing. loving the bottom one - it's amazing! That second one is amazing. What kind of necklace (if any at all) would you wear with a one-shoulder dress? 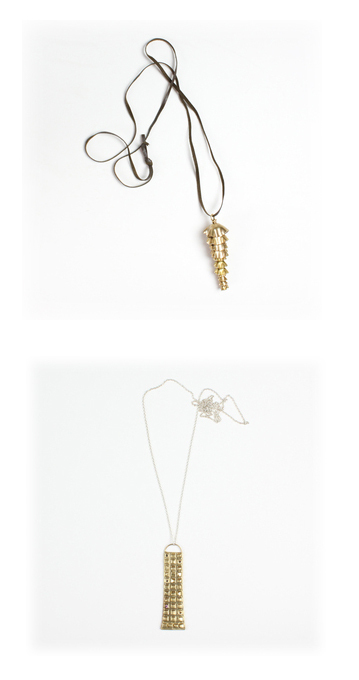 Hey,the second necklace from the bottom is elegantly beautiful. I love the sophisticated design. This would go well with a dress that exposes your neck and cleavage...thanks for posting!